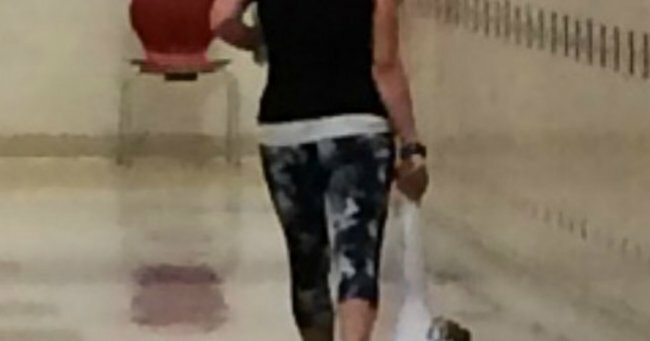 Photo of teacher dragging student goes viral, angers many. The disturbing act that got this preschool teacher sacked on the spot. An unnamed Ohio teacher has been sacked after a photo was captured of her dragging a student by their arm along the school corridor. The teacher, who was employed by a non-profit company called Alta Care Group that services a Head Start program for young children in Ohio, was fired after a fellow teacher took the photo on Tuesday. The Head Start program, which takes place at a Youngstown school, is targeted at children between the ages of 3 and 5. Alta Head Start’s website states, “children qualify for services based on federal income guidelines, which, according to Attn.com, means Head Start is focused on children who may not come from privileged backgrounds. “Qualified, credentialed teachers who are trained in best practice academic and social-emotional standards, as well as other trained support staff, provide children a preschool experience focused on school readiness skill development,” the school’s website reads. In releasing a statement on Wednesday, Alta’s CEO Joe Shorokey made clear the teacher’s actions do not reflect the standards of the organisation. “I want to make sure it is clear that the individual who was terminated does not reflect the values of the dedicated and skilled professionals at Alta Head Start,” he said. “These fine teachers and aides should not be unfairly portrayed as anything less because of the person who was terminated. In a separate statement to CNN on Thursday, Shorokey said she was fired almost immediately. Social media users were quick to condemn the teacher and praise Alta for its swift and decisive action. @CBSNews Hopefully that poor child can forget that terrible ordeal. What type of “teacher” drags a child by the arm? Wow. @CNN these stories make me mad. If you don&apos;t like kids then work someplace else. I want to pick this child up and help. It is believed the incident has been reported to the local children’s services by the Youngstown school district.